This past week, I talked to a couple people on separate occasions about the same topic (you know who you are). I’ve had to explain my reasoning on this subject often enough that I thought it was worth blogging. It’s not an issue of right or wrong but it’s a choice we all have to make in our teens or twenties. It’s no more a moral issue than choosing a career. However, most people see it as a normal part of growing up and establishing one’s self as a respectable member of society. In fact, a lot of people think it’s NOT respectable to oppose the norm. I happen to be one of those people that doesn’t follow the norm. So, here it is. The accepted standard in the United States is that by the time you graduate from high school, you either work or go to college. 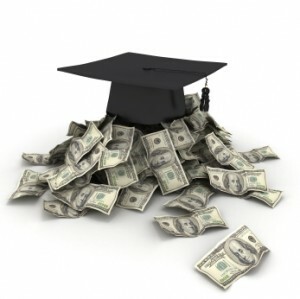 Increasingly, college is the favorite way to get ahead (or party for four years). It’s not a matter of IF you are going to get out on your own; for a responsible young adult, it’s a matter of WHEN and WHERE. If you don’t, you’re considered co-dependent and/or dysfunctional. Knowing me, you realize I’m as independent as they come. Moving out was definitely something I had planned… along with all four years of college, two of grad school, and decades of an upwardly-mobile career. Christians, as a group, know that God is the one we want to serve. When we accept His control in our lives, we trust and dedicate our lives to Him. But if we’re serving God, there’s opposition… an enemy. This is really elementary stuff but bear with me… some people like to minimize the idea of “spiritual” warfare (we can’t see it but we believe it – I’m just reminding you). The enemy is out to kill you and he’ll pull every trick in the book to make you vulnerable spiritually, emotionally, and physically. In The Art of War, Sun Tzu says, “Take advantage of the enemy’s UNPREPAREDNESS; travel by unexpected routes and strike him where he has taken no precautions.” With that in mind, what do you think happens when we choose to move away from home, completely uprooting our lives for the sake of space? (Who wants dad or mom to drop in before a date arrives or show your friends baby pictures, right?) Space has its price just like everything else. College or a new job in a city far from home puts you in unfamiliar surroundings. You have to walk it out to learn about the place and people. Until you do, you really don’t have your bearings. Even the strongest of us are somewhat unsure during these transitions. Do you think the enemy doesn’t know this or doesn’t care? How can we be naive enough to think he isn’t going to take advantage of our “unpreparedness”? I’ve found that I usually face the strongest offensive lines when I’m not familiar with the playing field. I’d get creamed every time if it weren’t for the strength and faithfulness of my teammates. 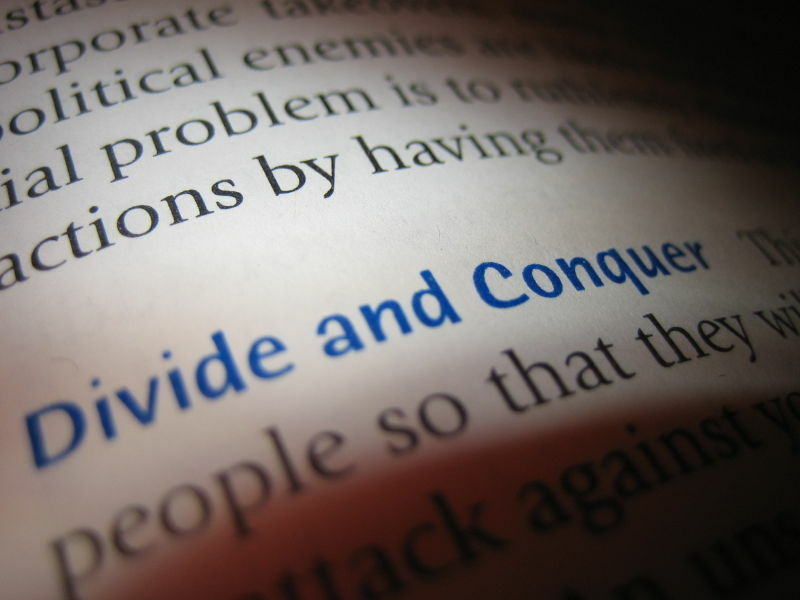 “Divide and conquer” has been an effective tactic against families. We’re not on our own turf and we don’t have the wisdom of parents, grandparents, or church family. Some of this is basic, beginning-of-the-book stuff. (“The Lord said, ‘It’s not good for man to be alone…” Genesis) Sure, we have our relationship with Jesus Christ but sometimes we need that tangible support from people who really know us – this especially goes for those of us with Christian family and/or Christian friends who have known us for many years. If they’re not with us, how involved can they be? Even a phone call a day isn’t the same as physically surrounding yourself with trusted, time-proven allies. Please don’t make the mistake of believing a life-long friend is waiting for you at college or a new job. You’ll find most to be paper-thin relationships of convenience or temporary fascination. They’ll disintegrate in ash and smoke when they’re held to the fire. People you can trust are not as common as you might think. Hebrews 10 puts it this way: “Let us draw near to God with a sincere heart… and let us consider how we can spur one another on toward love and good deeds. Let us not give up meeting together… but let us encourage one another – and all the more as you see the Day of the Lord approaching.” So it’s really an accountability thing. Who would you trust to keep you accountable to a high standard spiritually? And, ultimately, do you want to be accountable? If you’re interested in distancing yourself from every knowledgeable source of accountability in your life, you need to ask yourself why. In No Man is an Island, Thomas Merton points out, “The soul that picks and pries at itself in the isolation of its own dull self-analysis arrives at a self-consciousness that is a torment and a disfigurement of our whole personality” (Merton, 34). It’s not good for us to figure out ourselves and our experiences alone. An inward, solitary individual endures, as Merton says, “a disfigurement” of his “whole personality.” A well-adjusted, successful individual seeks answers and wisdom outside himself, not inside himself, seeking help from strong, faithful teammates. If you don’t have the discipline or interest in accountability from other mature believers in Jesus Christ, it’s time to pray God gives you His mind on the matter. You may not think you need the help but, last you checked, you’re still human, right? Ecclesiastes 4:12 says, “Though one may be overpowered, two can defend themselves. A cord of three strands is not easily broken.” Yes, individualism and loners are lifted up as pillars of society; but if they’re the pillars, we’re not standing on much. Self-reliance and arrogance have been our down-fall. The families in upper and middle class society are fragmented and failing. I’ve seen too many college friends lose their way and even physically die because they cut themselves off at the roots (it’s suicide, quite literally). As strong as a person can be, it’s too easy to believe lies and make mistakes that change your future forever. This perspective doesn’t sound glamorous to us based on what we’ve been fed by individualistic media and society but a majority of the challenges we face in life we should never try to handle alone. You may not make the same choices I do but I hope you can at least grasp my reasoning. Individuals and loners who aren’t working hard to protect themselves are easily eliminated. This is why I live at home. You are one of a kind, Brittany. Fascinating blog you have. Such intriguing insights and convictions allow one to feel almost acquainted with you in a very short period of time. Whoa, pump the brakes. You completely left out gender! 1) Being unemployed while having a rent/mortgage payment and struggling to make ends meet; family and/or close friends are nearby for support. 2) Being unemployed while living at your parents home so you dont have any expenses; you can sit tight until the right opportunity comes along. Maybe it looks like a no-brainer to you, but Im willing to bet that the majority of guys would choose option one. A man has to work and has to be responsible for his own welfare. If a man continues to live with his parents and be provided for, then he is emasculated; he is less than a man. It doesnt mean he should move across country, but it does mean that he needs to establish his own household, separate from his parents. The security he craves is that he can provide for the needs of himself and his family/future family. Women are wired completely different. The security you crave is relational and can be found with your parents at home or your husband at home (or with one another in various intermediate living places). In the last paragraph you contrasted “Individuals and loners…” with “I live at home.” Men would never contrast those two because in our minds they arent exclusive. Like I said, it’s no more a moral issue than choosing a career and this goes for both genders. My brother lives at home too and feels stronger about it than I do. If a guy is staying to take care of his parents, how is that emasculating? The Bible says “for this cause, a man leaves his father and mother and cleaves to his wife.” (Gen. 2) He leaves when he’s married. But masculinity is your argument here. So tell me this… Is masculinity a feeling? If so, feelings are not a basis for sound logic. If not, please help me find the chapter and verse on this; you could blame masculinity or femininity for a lot of choices. It’s a red herring argument.